240 Volts | 1,500 Watts | 8,900BTU Heater w/ Fan. Floating on-screen LED display allows you to view temperature settings and functions easily. Different presets of ambient lighting color combinations contained in the unit and option for personalized color setting. 30min/8hr sleep timer as well as a child lock. Eco Setting. 2Yr Ltd Manufacturer’s Warranty. 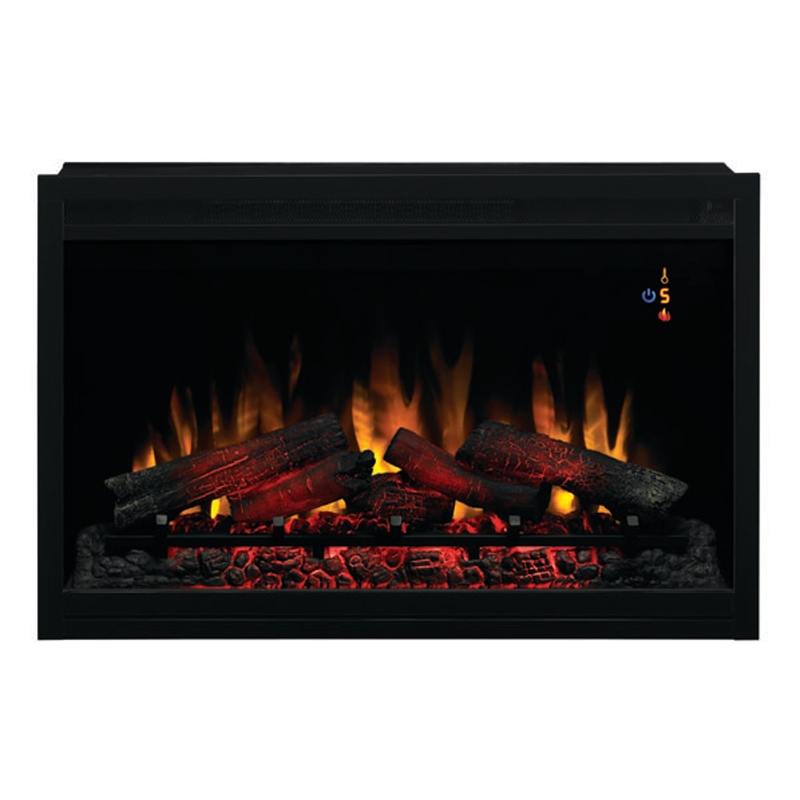 The Classic Flame 36-Inch 36EB220-GRT 240V Traditional Builders Box Electric Fireplace features a traditional logset with a multi-function remote control. Fixed tempered glass panel helps to give the look of a built in fireplace. Total surround flange allows for flush mounting to finished wall surfaces. An integrated junction box comes with the unit for hard-wire applications. The onscreen function indicator lights up when operated, to display temperature, brightness settings, heater function and the electronic timer function. The insert can be used with or without heat for all season enjoyment. Hardwire at 240V.